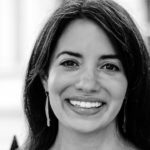 Janine Gianfredi​ is the former Chief Marketing Officer of the United States Digital Service, a startup at the White House that uses technology and design to improve government services for Americans. Before joining the White House, Janine spent ten years at Google/Alphabet, most recently as the Head of Marketing for Google[x], where she was responsible for marketing across the “moonshot factory.” She launched Alphabet’s first autonomous unit—Verily Life Sciences, and helped to expand the self-driving car project into Austin, Texas. The first moonshot Janine tackled was Google Glass, where she developed the collaboration with Diane von Furstenburg and retail partnerships with Mr. Porter and Net-A-Porter. Janine joined Google in 2005, to create and execute global marketing programs, including Creative Sandbox and [email protected], to enable the marketing industry to embrace technology. Janine graduated from Rutgers University with a B.A. in English & Political Science, with certificates from the Institute for Women’s Leadership and the Eagleton Institute of Politics. She lives in San Francisco with her husband and two dogs, and is an amateur chef, an inflexible yogi, a serial mentor, and a lover of travel.